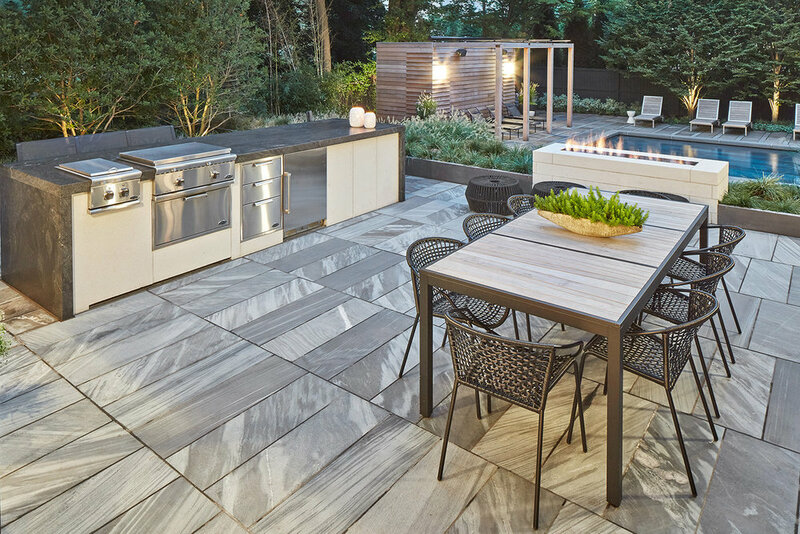 These outdoor garden rooms were designed as an immediate connection to kitchen renovation plans including new large glass windows. The strong visual connection between inside and outside provided many opportunities to enhance the experience in both spaces. An upper terrace and outdoor kitchen and dining area provides and extension of the indoor kitchen. A custom fire feature is located to be viewed from inside at any time of year. Steel retaining walls define plant beds and elevation changes. A lower wood enclosed spa is tucked beside the retaining walls, providing a sense of enclosure and is hidden from view at upper levels. 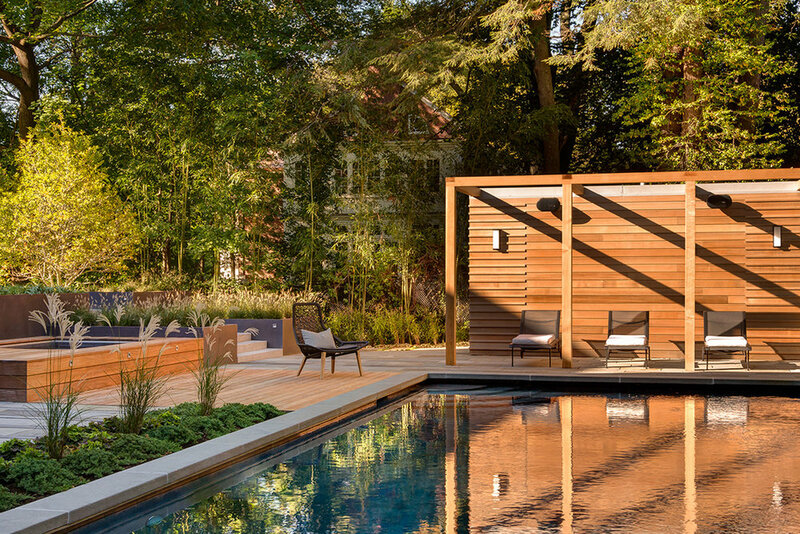 A flush wood deck connects the spa and pool area. Perimeter plantings will provide a lush pool area garden once established. SiteCreative also provided the schematic design for the new pool house and pergola, and collaborated with Duckham Architecture who provided the construction documents for the structure.